If you have followed the prospect/minor league scene for any period of time you are probably aware of John Sickels. He’s been covering minor leaguers since 1993. Since 2005 he had been covering prospects at MinorLeagueBall.com at SB Nation. That is until December when Vox began cutting jobs left and right. John and MinorLeagueBall.com fell victim in the axing. Today he began his new gig, writing at The Athletic. His first article is his 2019 Top 100 Prospect list, and you can check it out here. The Cincinnati Reds continue to have a strong representation on these national lists. Only the Fangraphs list remains and it’s coming out later this week. On Sickels list the Cincinnati Reds have five players in the Top 100. He also notes two Reds players with breakout potential that are currently outside of the Top 100. 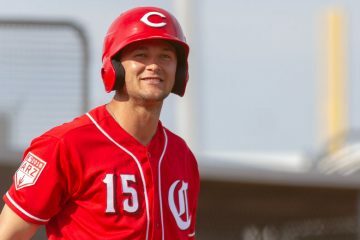 Nick Senzel leads the Reds prospects, coming in at #7 overall on the list. That he’s the top prospect on the list from the organization comes as a surprise to no one. No list has had him listed as anything but the teams top prospect, and for good reason. He’s ready for the Major Leagues and he’s got a well-rounded game with All-Star potential. 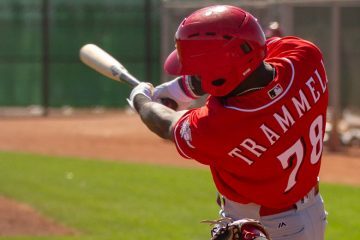 Taylor Trammell shows up on the list next. The outfielder comes in at the #32 spot on the list. Sickels notes his all around athleticism that includes both speed and power. For Trammell in 2019 it’s going to be interesting to see how he’s handled if he plays well. He will begin the year in Double-A Chattanooga, but could be in Triple-A by the second half if he performs well. That could put him in line, perhaps, for a September call up depending on how things play out. Not much further down the list is right-handed starter Hunter Greene. The #2 overall pick in the 2017 draft comes in as the #39 prospect on the list. As noted everywhere, Greene had an elbow injury in 2018. It didn’t require surgery and he’s ready to hit the ground running in spring training. Sickels noted that he’s still elite if he’s healthy and that he could be ready by 2021. The Reds first round draft pick this past season, Jonathan India, cracks the list inside of the Top 50. The infielder comes in at #49 overall on the list after posting an OPS of 813 between his three stops this year. He began his career in Greeneville before joining the Billings Mustangs for less than a week. His season finished with the final five weeks spent with the Dayton Dragons. The final Cincinnati prospect to make the Top 100 is right-handed pitcher Tony Santillan. The Texan had a breakout year in 2018 as he took his biggest weakness, his walk issue, and turned it into a strength. It led to his ranking at #81 on the list. He gave out just 38 free passes in 149.0 innings between Advanced-A Daytona and Double-A Pensacola in 2018. And he did that while maintaining above-average to plus stuff and striking out 134 batters. The list is supplemented with two prospects who could breakout in the next few seasons. For the Cincinnati Reds, John Sickels selected Mike Siani for the position players. 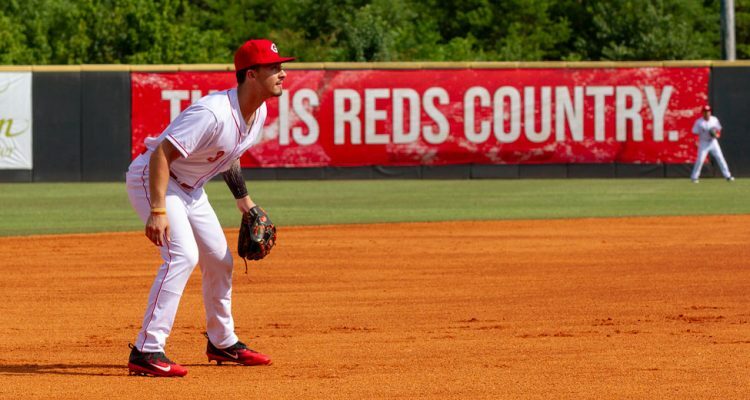 He was the Reds 4th round selection in the 2018 draft, but he was signed for $2M as a player who fell in the draft and the Reds were able to take advantage of their pool space to bring in. His pick for potential breakout pitcher was James Marinan. The Reds acquired him in the Dylan Floro trade in 2018. Marinan, like Siani, was also a 4th round pick (2017) who signed an overslot bonus. Be sure to check out the entire list at the link above. Each player is given a grade, and there’s more to each write up than what I included here. Can’t get article to pull up. Is it behind a paywall? This was a two-fold problem. First, I linked to his announcement article and not his Top 100 list. So that’s on me. Second, I was told that the list was free for everyone earlier today. It turns out that it’s not (but I hadn’t noticed because I was logged in, so it just showed up for me and I didn’t think twice about it since I was told it was free). The link has been fixed, but so has the text that said it was free to read – because it’s not. You should get John on your pod cast. The podcast I haven’t had for like 6 months? I think the Reds will be glad they did not trade India. I think he will develop nicely. I hope Marinan has a great year and is in the Top 100 this time next year. However, it seems to me that Gutierrez is most likely to have a huge break out season. I’m also interested to see how he does without having to deal with school, a full offseason of rest, a proper spring training, and 100% focus on baseball. The bat speed and plate discipline showed up right away. If he can bring the K rate down from his debut, he’s going to turn some heads. I think he’ll likely be an .800 OPS guy in the FSL, possibly more, but that place is tough to hit for power. Greenfield Red, I agree I also think the reds and reds fans will be glad this trade didn’t go thru.the further in time the better.as I expect Realmuto to have big year.i also expect India to climb the rankings.next year we will be glad the trade didn’t go thru .two years really glad and so on. Somehow I can’t find the article on the Athletic. where is it located?? 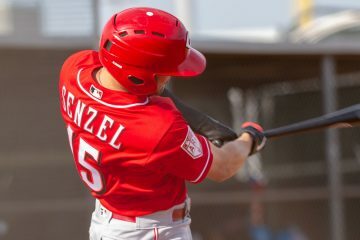 With a premium pick at #7 this June, and Senzel the only one likely to lose prospect eligibility, we should be pretty strong on all of these lists next year. We could really use another breakout player though. Reds keep Jesus Reyes, Jackson Stephens, & Matt Wisler (0 options) on the 40 man & designate Jose Lopez to make room for Duke.